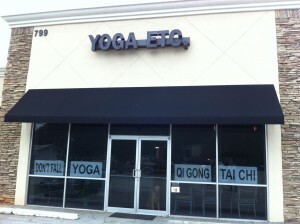 With the opening of our second location, Yoga, Etc. 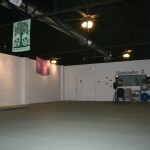 in April of 2012, Etowah Valley Yoga now boasts two locations in Cartersville, Georgia. Located about 40 minutes north of Atlanta, our locations are easy to access and offer our teachers and students some much deserved additional space! We are now able to offer a space for workshops and yoga teacher trainings while still hosting regular classes for students. 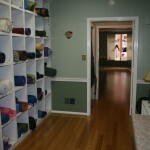 Opened in 2002, Etowah Valley Yoga is located in downtown Cartersville, Georgia just off Main Street. 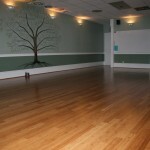 Regular yoga classes are hosted at this location, including a variety of all levels, vinyasa-style, yin and meditative classes. This space features a small retail store and a locker space, which offers cubbies for your belongings, a changing area and refrigerator for your convenience. 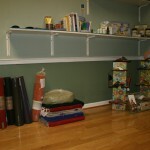 Etowah Valley Yoga is fully stocked with everything that you need for your practice, including yoga mats, blankets, blocks and straps. 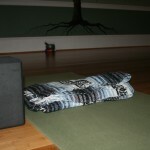 Opened in 2012, Yoga. 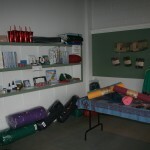 Etc is a handicap accessible location, making it an ideal space for adaptive-style yoga classes. Workshops and teacher trainings are held at this location, in addition to an array of traditional and therapeutic classes. Qi Gong, bodyArt, prenatal and seniors yoga are just a few of the options that this studio offers. Yoga, Etc. offers a comfortable and high-quality flooring, with a supportive but slightly cushioned feel that is easy on knees and backs. 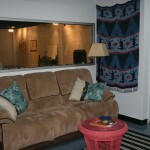 A lobby and retail space are located at the front of the building, while an additional lounge is located in the back.